Who wants to go Putt Putt? 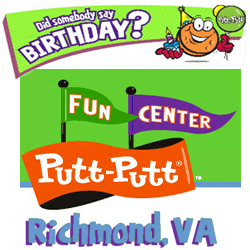 Don’t miss a chance to celebrate that birthday party this year at one of the nation’s longest running party fun locations: Putt-Putt Miniture Golf and Fun Center! 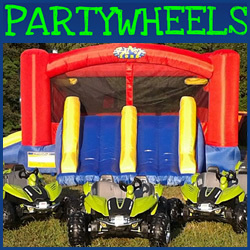 Choose from several Putt Putt party packages – with games and refreshments, or go to “The Extreme” party package for unlimited Putt-Putt Golf, Go Karts, Bumper Boats, and games and refreshments. Teen party packs are also available so don’t delay and call to reserve your fun today! Tags: Birthday Party Venues in Richmond, Childrens Party Place in Virginia, Find a Kids Party Place in Virginia, Kids Party Locations in Virginia, Mini Golf Birthday Party, Mini Golf Kids Party, Putt Putt Birthdays, Putt Putt Fun Center, Putt Putt Fun Center Virginia, Putt Putt Party, Putt-Putt, Putt-Putt Birthday, Richmond Kids Party Venue, Richmond Virginia Birthday, Virginia Kids Parties, Where to have a Putt Putt Birthday Party? Five electric dune racers that kids love to drive. A face painter with colorful and washable characters. Up to 18 holes of mini golf, custom made with creative and challenging obstacles. 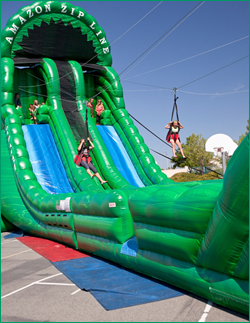 A moon bounce – Always a hit. And a solid hour of today’s hits and fun oldies. No need to hire a D.J. Why have them sit on the couch and watch a magic show? 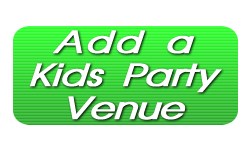 Let them have a great and memorable time having fun driving, bouncing, playing mini golf and face painting while they listen to great music.